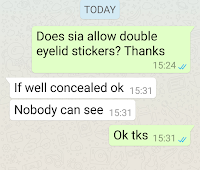 Singapore Airlines (SIA) stories of stewardesses, stewards of more than 10 years by Boh Tong : Are stewardesses allowed to have "double eyelid stickers/tapes"? 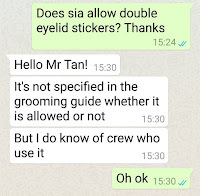 Are stewardesses allowed to have "double eyelid stickers/tapes"? 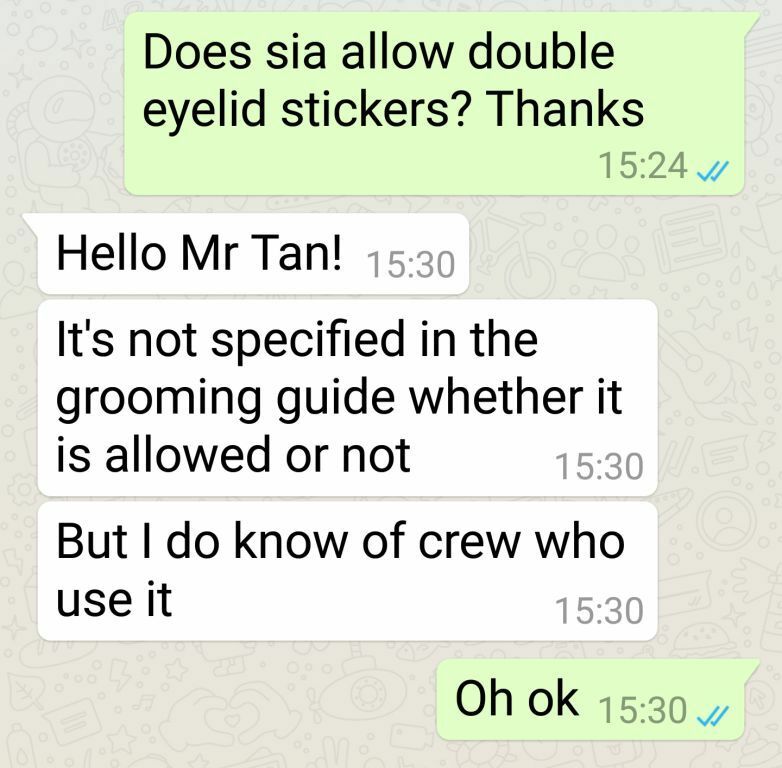 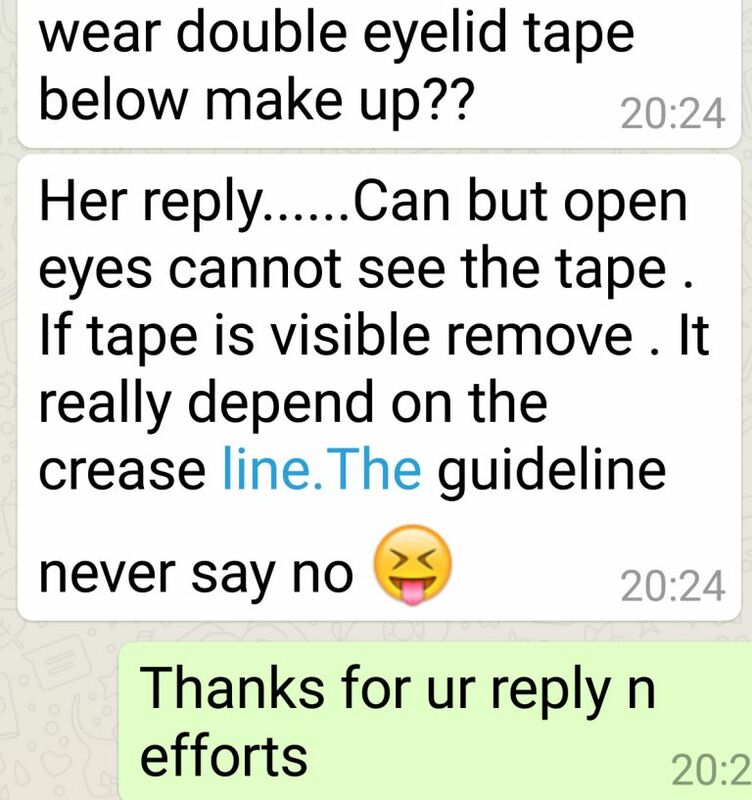 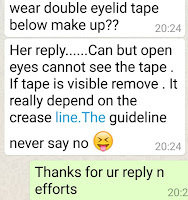 the "double eyelid stickers/tapes" and as long as the "fixture" could not be detected the crew-in-charge do not make it an issue. 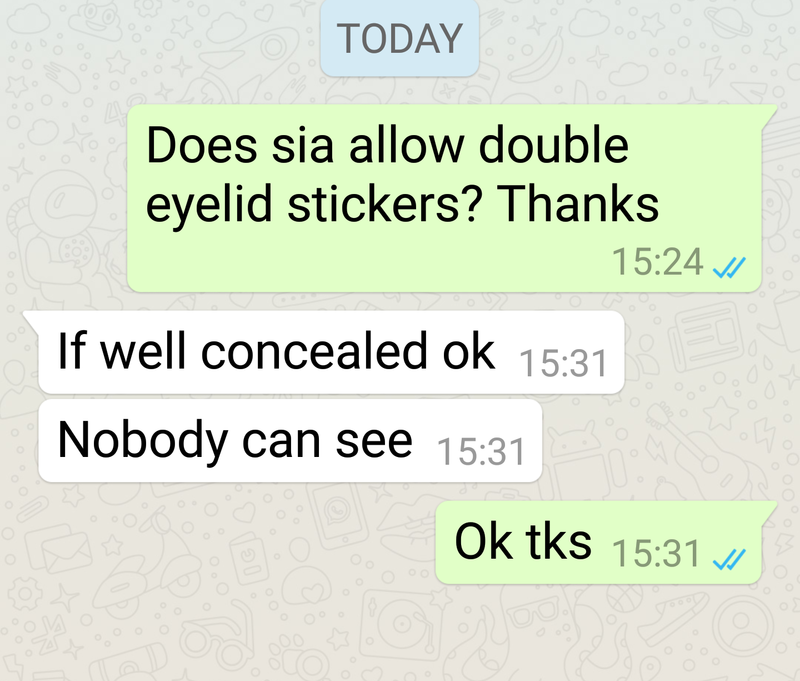 Video on what and how to use the "double eyelid stickers"